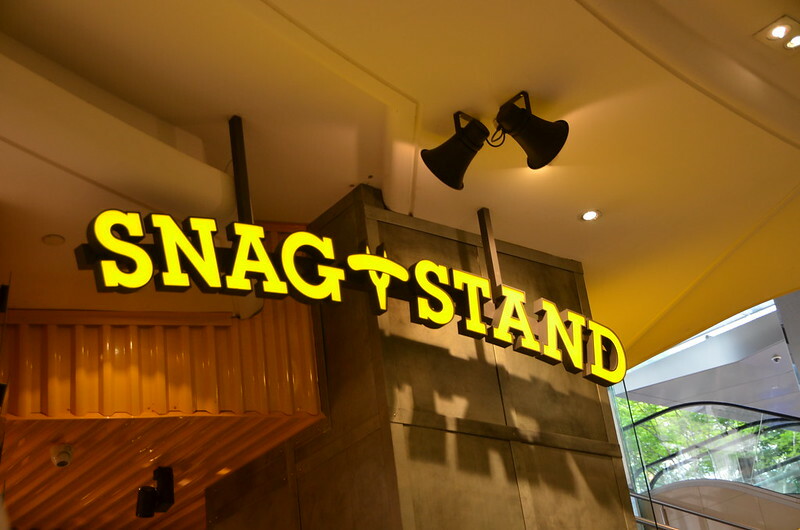 With queues reaching past the Queensplaza ATM, a bright yellow exterior which draws sausage lovers like moths to a flame and the promise of delicious gourmet Hot Dogs, it’s no wonder that Queensplaza’s latest addition, the Snag Stand, is popular among the masses. 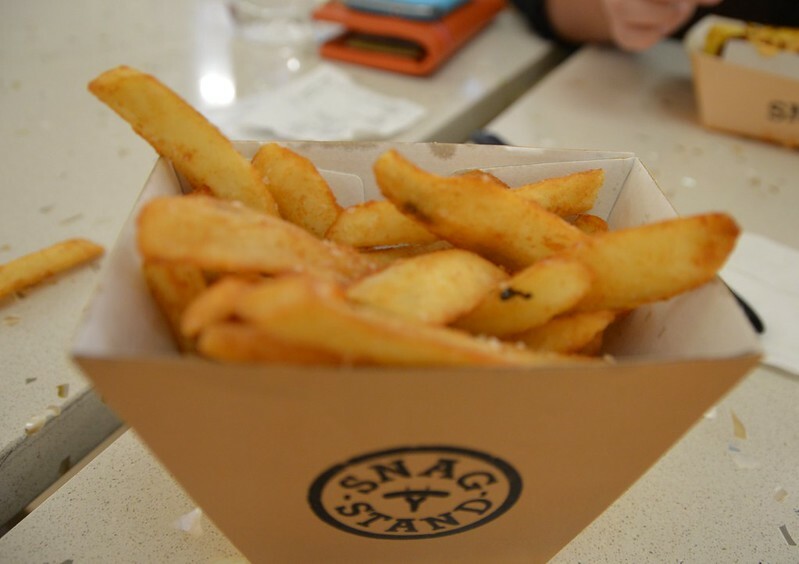 Reaching fame in the new Westfield Sydney, it was only natural for this gourmet fast food restaurant to branch out. 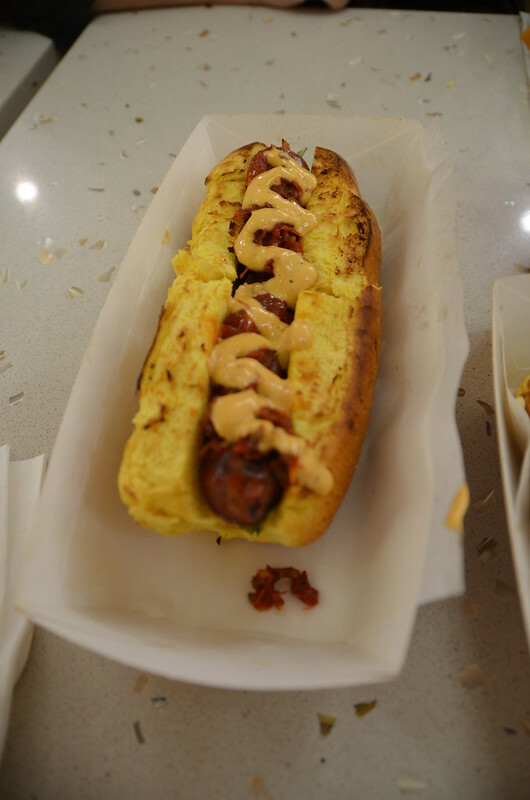 Brisbane became home to the Snag Stand late last year and ever since has become a food court favourite. Our choices for the day were the Spicy Spanish Chorizo and the Australia Fare. 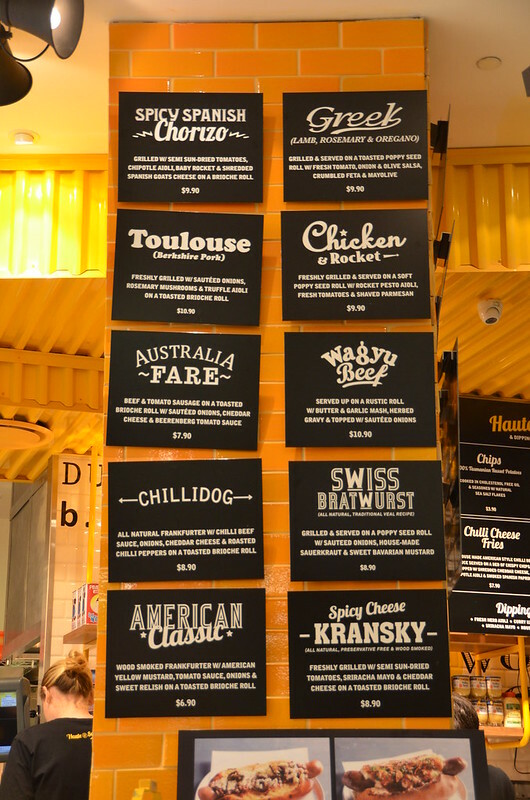 The Hot Dogs were good but did not meet the standard of some of the great Bratwurst you can get at local Brisbane Markets. 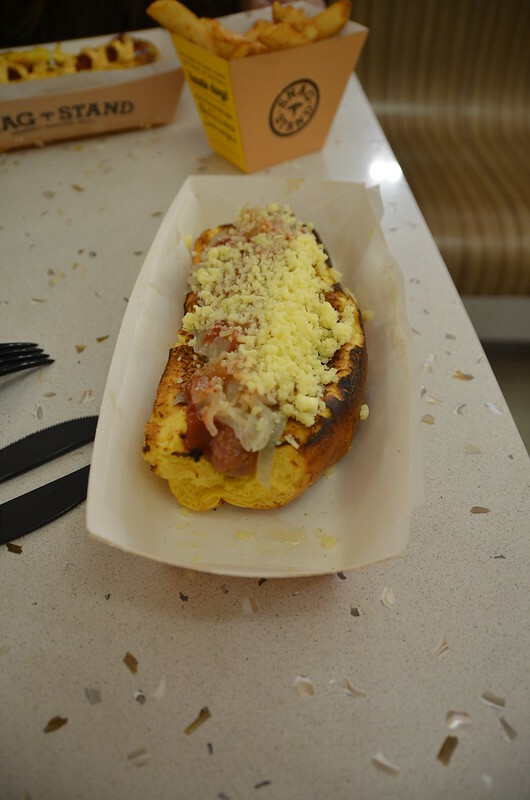 The Brioche bun was the highlight of the Hot Dog as it was crispy on the outside but flavoursome and doughy on the inside giving the Hot Dog a more gourmet feel. If you are feeling like a visit, our pick is the Spicy Spanish Chorizo which has extra flavour and makes a robust lunch meal.